If you live in America, you will have or has had someone knocking at your door. They want to tell you about their beliefs. So you try to be nice and let them talk. But after some time you find they do not want to know about what you believe, they just want to tell you about their beliefs. You have some (Religions) who tell you what you should eat and not eat (Even telling you that it is in the Bible). Let us not judge one another anymore, but rather resolve this. Let us not to put a stumbling block or a cause to fall in our brother’s way. Some people have wrong understanding that leads to wrong believing. The Old Testament Law tells us what we can do and not do what we can eat and not eat. Jesus came and fulfilled the law. We are no longer under the laws of The Old Testament. In Romans Paul a bondservant of Jesus Christ says, “I know and am convinced by the Lord Jesus that there is nothing unclean of itself; but to him who considers anything to be unclean, to him it is unclean. He goes on to say that we should not judge our brother, if what you eat or drink is unclean to you then you should not eat it. Do not destroy the work of God for the sake of food. All things indeed are pure, but it is evil for the man who eats with offense. You should not cause your brother to stumble. In other words, do not tell your brother who eats meat or seafood that it is unclean or a sin to do so. If your brother does not think it is a sin then it is not. Do you have faith? Happy is he who does not condemn himself in what he approves. But he who doubts is condemned if he eats, because he does not eat from faith; for whatever is not from faith is sin. Peter asked Jesus to “explain the parable to us?” Jesus said, “Are you also still without understanding?” “Do you not yet understand “whatever enters the mouth goes into the stomach and is eliminated; but those things which proceed out of the mouth come from the heart, and they defile a man? For the kingdom of God is not a matter of eating and drinking, but of righteousness, peace, and joy in the Holy Spirit. Read your Bible for yourself, so you know what the Word says and no one can condemn you or make you condemn yourself. Men through the years have read God’s Word, some with understanding and some without understanding. Just like children, we tend to move towards the things that are not good for us, we follow the wrong crowds. By doing so, we have wrong understanding and wrong beliefs. We have tossed the Old Testament and New Testament together in a bowl and we have dress it with the commandments and sprinkled it with grace and now we are severing it. We mix grace with the law and serve it to people like a fresh salad that refreshes you. But we do not understand why the people are still sick, broken down, and losing faith. We have mixed The Old Testament with The New Testament, which makes what Jesus said in the New Testament of no effect. 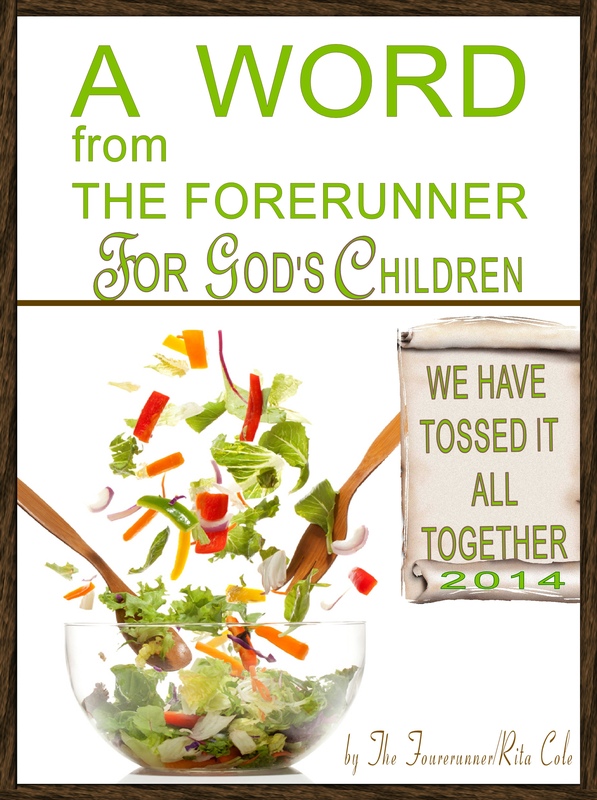 God’s Word is not a mixed salad where you put in all kinds of good things, mix them up together and pass it around. The Old Testament has its place in our beliefs, but it just that The Old Testament. The way something becomes old is it is replaced with something new. Jesus tells us He is giving us a New Covenant. When you put a new part on your car to keep it running, you do not reuse old part anymore. You replace the old with new. You may keep the old part to study it and learn how it works together with rest of the car. But the newer part is usually updated for better performance and with obvious improvements. We do not mix the Old Testament with the New Testament. 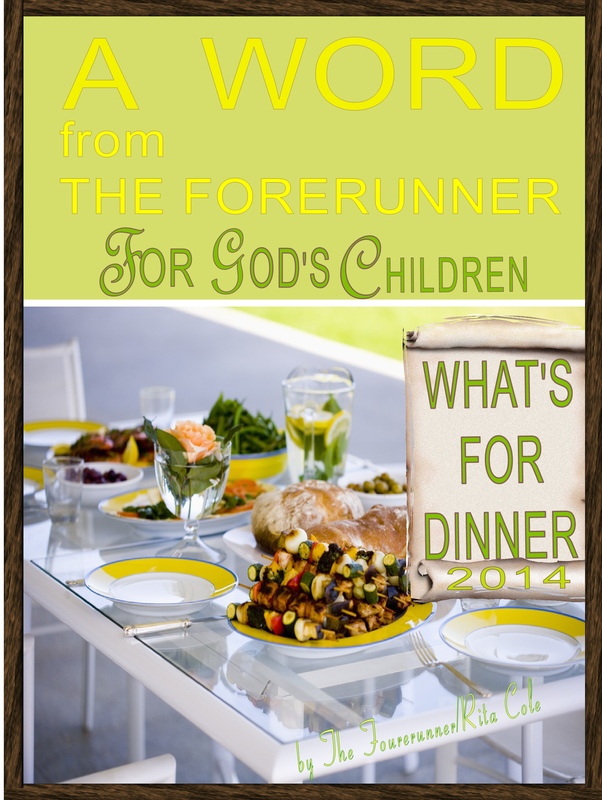 Forerunner for God on WATCHMAN WHAT DO YOU SEE!